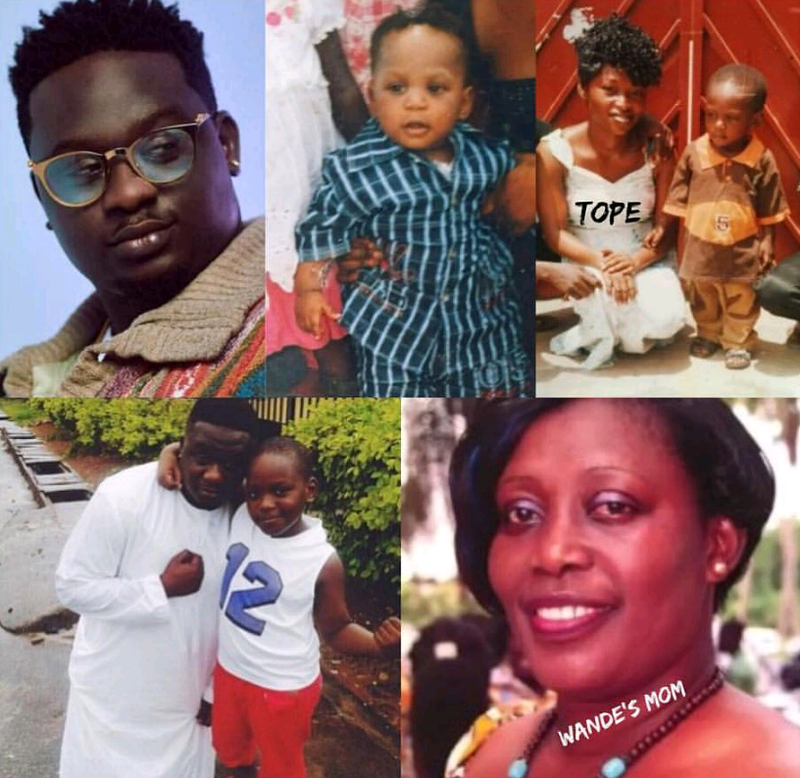 Nigerian singer, wandecoal’s Baby mama “Temitope Ogunnusi” claims that the singer and his mum abducted her son in 2010 and haven’t let her see him since then. Please, let me see my son!” This has been the cry of a mother for eight years in Lagos, and only God knows how much longer she would have to wait for her prayer to be answered. 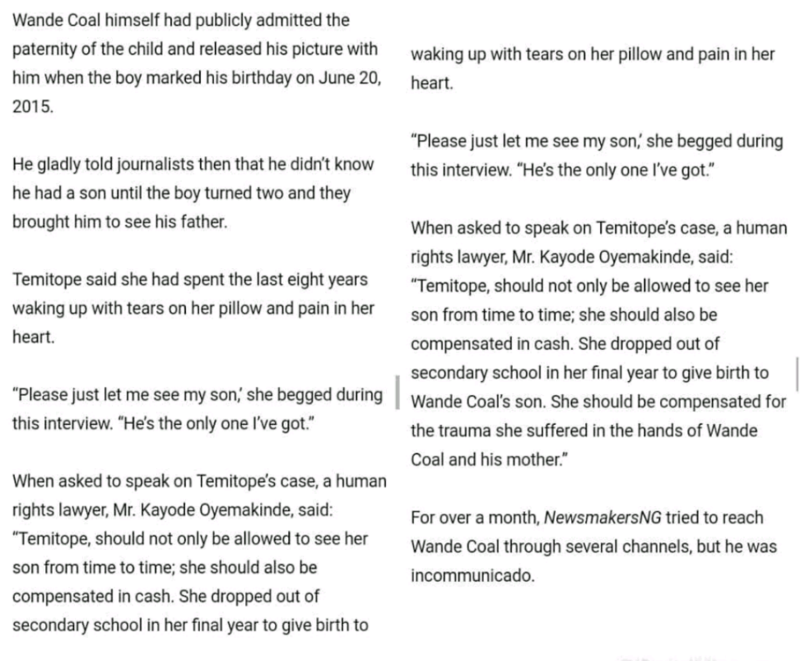 Temitope Ogunnusi’s 10-year-old son, Joseph, was only two when he was separated from her by the parents of a Nigerian pop star who allegedly felt she was not educated enough to be the wife of their son, Oluwatobi Wande Ojosipe aka Wande Coal. Temitope told NewsmakersNG that she was 16, when she met the popular singer at Jubilee Estate, near Otedola Estate, at the Lagos end of the Lagos-Ibadan expressway, in 2008, and they took to each other like duck to water. Wande Coal was 23 then. As the relationship waxed stronger, the lovebirds were seen together everywhere. Temitope revealed that the Tur-Key Nla crooner promised her heaven and earth, and his bed became their playground until he inadvertently scored a goal in one of the matches. When Temitope told Wande Coal that he was going to be a father, the successful singer rejected the pregnancy. “Do you want to kill my career?” he allegedly asked Temitope. He denied paternity of the baby and left the neighbourhood so Temitope would not see him again. Temitope said that she went ahead with the nine-month course alone, and gave birth to a bouncing baby boy. Joseph turned out to be a spitting image of Wande Coal. Temitope said that people who were not even in the know also acknowledged the speaking likeness with her son and Wande Coal, when in contact with the boy. When asked if any of Wande Coal’s friends was aware of the love affair when it was blooming, Temitope mentioned another Nigerian Pop Star, Oladapo Daniel Oyebanjo aka D’Banj. Justin Timberlake Sued For $1m By Canadian Company… SEE Why!! !